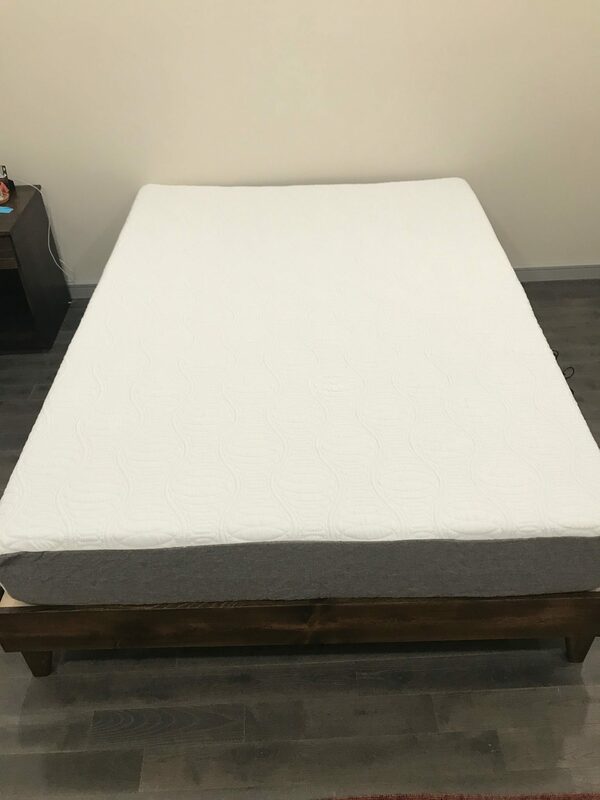 eLuxury 10 Inch Gel Memory Foam Mattress Review was recently completed by the MattressJunkie.com team. ELuxury is a veteran owned company located in Evansville, Indiana. ELuxury’s goal is to provide sleep products at uncommon prices. Eluxury also has an array of products in addition to mattresses. Pillows, bed frames, sheets, toppers, and other accessories can be found at very reasonable prices on their site. 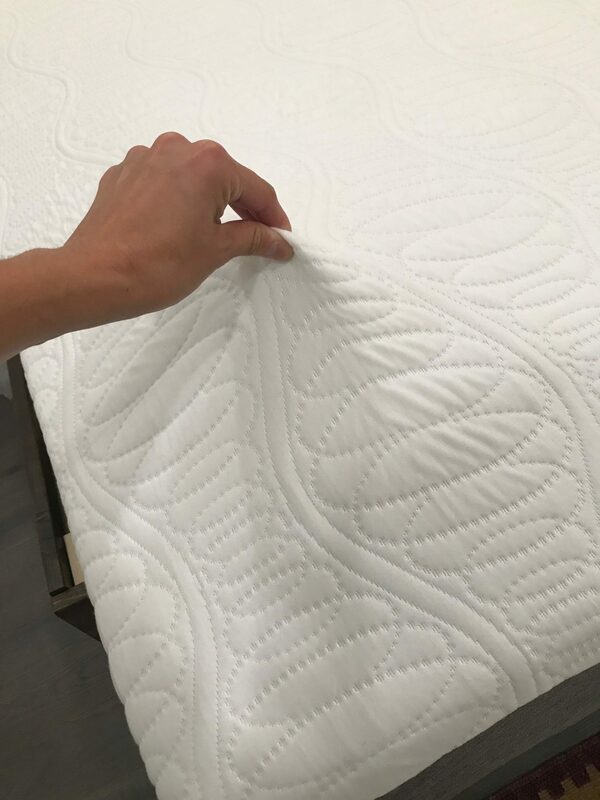 Let’s explore the eLuxury 10 Inch Gel Memory Foam Mattress more below. ELuxury 10 Inch Gel Memory Foam Mattress cover is white and grey and very similar to what you see on many mattresses. The white portion of the mattress cover is 80% polyester and 20% spandex. 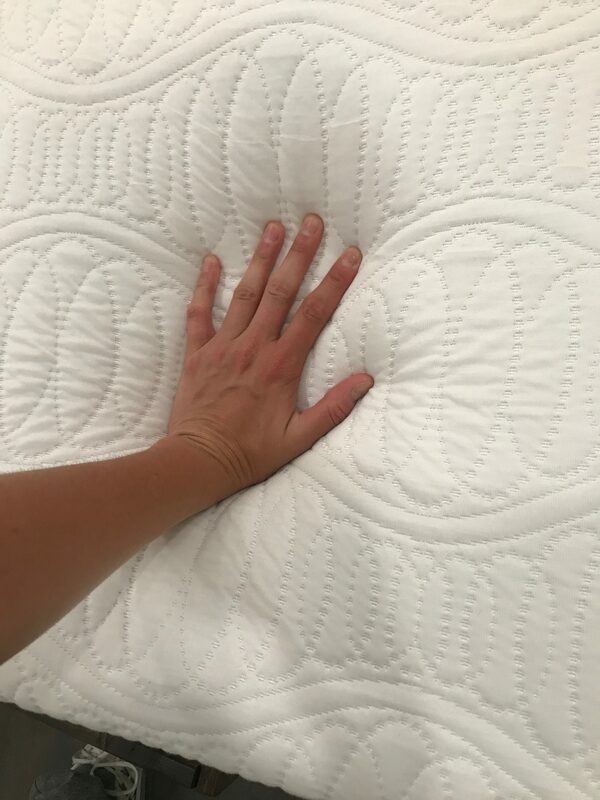 The mattress cover has a nice hug to the mattress and is light and airy which plays a role in breathability and heat retention. The spandex gives the mattress cover it’s stretch while conforming nicely to the memory foam under. The grey sides of the cover is made from polyester. The grey portion on the sides gives the mattress more durability which you will want over time. eLuxury 10 Inch Gel Memory Foam Mattress under the cover has 2 layers of memory foam. The first layer is the comfort layer. The comfort foam is directly under the mattress cover. This 3 inch layer of 3 pound gel memory foam is responsible for cooling, comfort, pressure relief, and support of your body. Gel infusion in memory foam is great for pulling heat away from the sleeper’s body. Heat retention can ruin your sleep experience so making sure heat dissipates properly throughout the night is critical to overall comfort. The second layer of the eLuxury 10 Inch Gel Memory Foam Mattress is made up of 7 inches of 1.8 pound base foam. Base foam serves as then support layer and foundational layer of the mattress. High quality base foam such as the foam found in this mattress will extend the overall lifespan of the mattress. What is eLuxury 10 Inch Gel Memory Foam Mattress’ Level of Firmness? ELuxury 10 Inch Gel Memory Foam Mattress firmness is medium firm. This works for the majority of people and is not too hard and not too soft. As long as a mattress has firm level support, you will not hurt your back with a more comfortable level of firmness. eLuxury 10 Inch Gel Memory Foam Mattress comes in one level of firmness and frankly, that level works for most people. What Sleep Position Works Best with the eLuxury 10 Inch Gel Memory Foam Mattress? Eluxury 10 Inch Gel Memory Foam Mattress Review works will all sleep styles. The mattress is firm enough to work well for stomach sleepers but comfortable enough to relieve pressure so back and side sleepers well rest cool and comfortable throughout their sleep experience. How is the Edge Support on the eLuxury 10 Inch Gel Memory Foam Mattress? Whether you sit on the edge of the bed or sleep near the edge, memory foam mattresses don’t always have the greatest edge support. The eLuxury 10 Inch Gel Memory Foam Mattress has suitable edge support so you will be able to sleep edge to edge and use the edge for sitting. How did the eLuxury 10 Inch Gel Memory Foam Mattress handle motion transfer? Eluxury 10 Inch Gel Memory Foam Mattress handles motion well. Memory foam mattresses don’t have the spring or bounce that latex or hybrid mattresses have so you won’t have to worry about being disturbed if you don’t sleep alone. 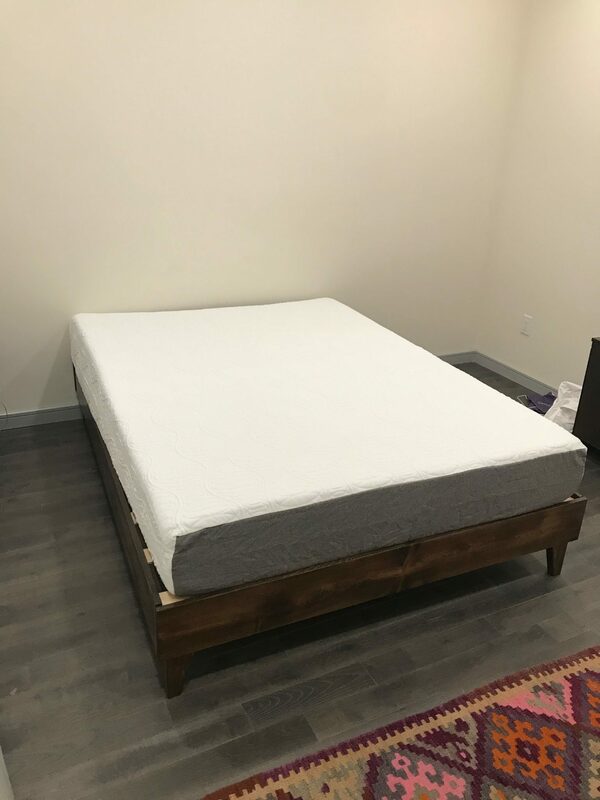 What type of base should I place my eLuxury 10 Inch Gel Memory Foam Mattress on? We reviewed our mattress on eLuxury’s North American Pine Artisan Bed Frame. I highly recommend it because it literally took 5 minutes to set up with no tools needed, is extremely nice wood, and they offer a bundle deal so you can get a mattress and frame at a great price. You could also use any flat surface like the floor or a box spring and that would also work fine. Will my eLuxury 10 Inch Gel Memory Foam Mattress have a chemical smell when taken out of the box? All memory foam mattresses have a slight smell called off gassing when they are first opened from the vacuum sealed pack. This is normal and goes away after a short time. The off gassing with the eLuxury 10 Inch Gel Memory Foam Mattress was very light and was unnoticeable within 24 hours. When you receive the mattress, it’s always best to let it air out without sheets for 12-24 hours if you can. What Type of Warranty Does eLuxury 10 Inch Gel Memory Foam Mattress have? Eluxury offers a 10 year warranty on their mattresses. Does eluxury offer a sleep trial? You can rest assured when ordering because eLuxury offers a 120 night sleep trial. If you don’t like it within 120 days, you will get a full refund. Is My eLuxury 10 Inch Gel Memory Foam Mattress Made of Safe Materials? Eluxury 10 Inch Gel Memory Foam Mattress is made from high quality materials that are Certipur-US Certified so you and the environment are safe from any harmful toxins. All eLuxury mattresses are made in the USA. How much does the eLuxury 10 Inch Gel Memory Foam Mattress cost? Would we recommend the eLuxury 10 Inch Gel Memory Foam Mattress? 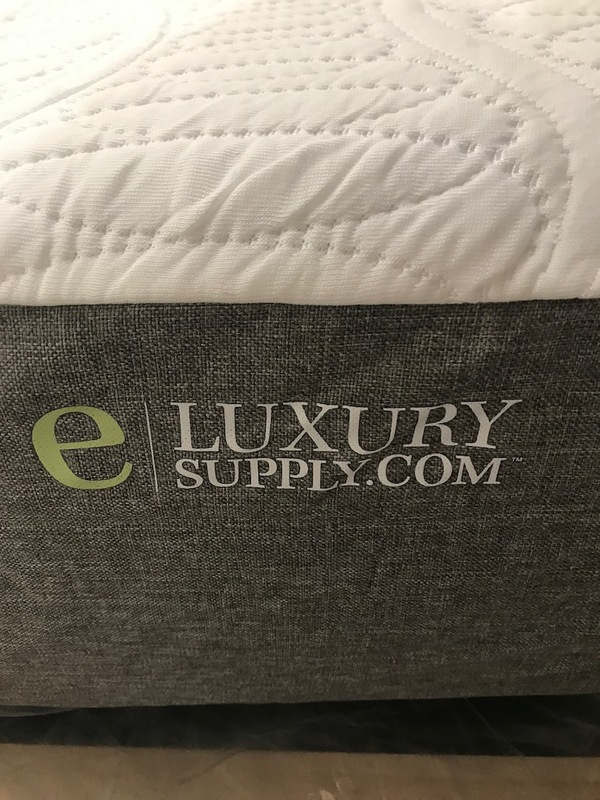 The eLuxury 10 Inch Gel Memory Foam Mattress is one of the coolest sleeping mattresses I have slept on and reviewed. I was very impressed with how nice it is with the cost being so reasonable. The North American Pine Artisan Bed is even nicer in person than you would expect from the photos online. Coming from someone that has Ikea flashbacks from hell, I was not looking forward to assembling anything. I put the bed together myself in 5 minutes. It literally snaps together and will support up to 900 pounds of weight. You will be nothing but impressed with buying this mattress and frame. 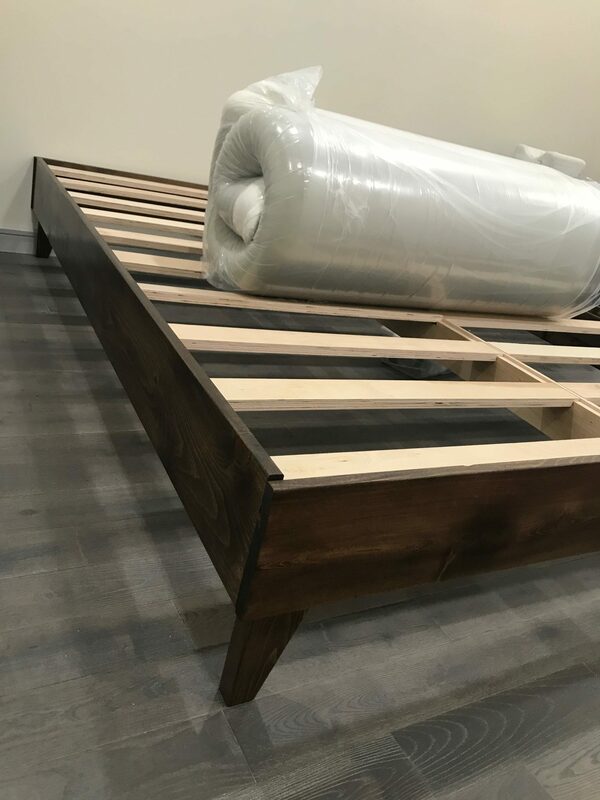 Learn more about bundling the Eluxury Mattress with the North American Pine Artisan Bed Frame here…..